Linzi Low of Marques of Scone visited the Club on the evening of the calendar draw. Her company have sponsored the calendar for the month of March and she was very pleased to be able to make the winning draws for the month. The draws included the winning number of the first of the £1000 draws. Marques of Scone are one of a number of local businesses who have supported the Club in raising money for local charities through the charity calendar. Such an enterprise would not be possible without such willing support. 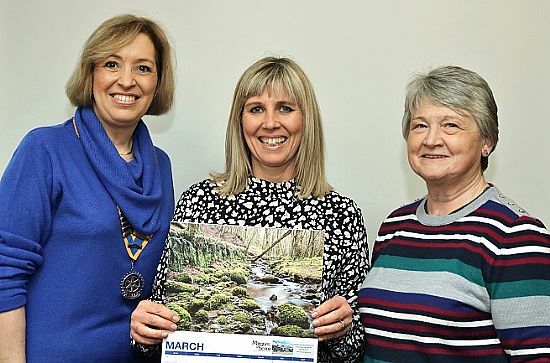 Linzi, centre, is pictured above with President Gillian Marsh and Calendar administrator Janet Simpson.